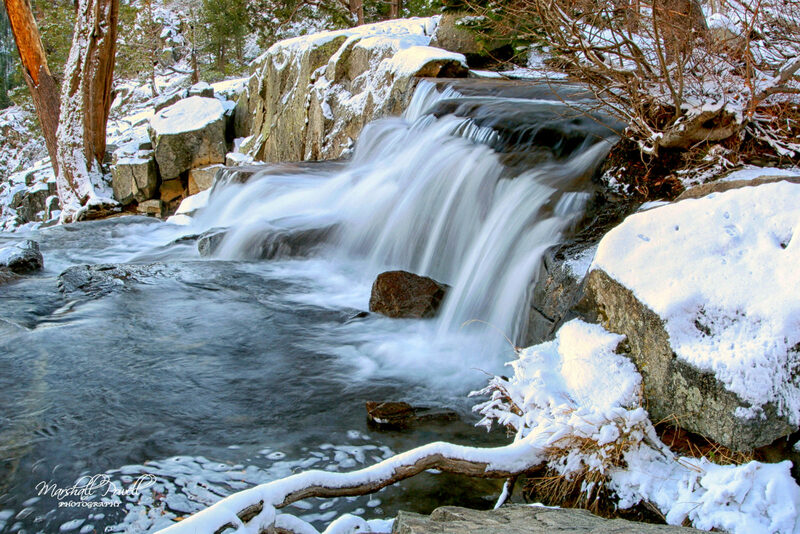 Winter time is beautiful in the Lake Tahoe area and this falls is no exception. A cool, crisp day and the perfect setting for a waterfall photo. Cascade Falls is located around Lake Tahoe Nevada.